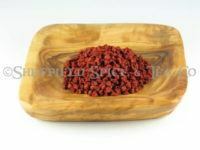 Categories: Spices, Blends, Rubs & Mixes, Beef, Chicken & Fowl, Fish & Seafood, Lamb, Vegetables. Opa! If you like our Tuscan Seasoning Blend for your Italian cuisine, you’ll love our Mount Olympus Seasoning Blend for all your Greek and Mediterranean chicken, beef, or lamb dishes. 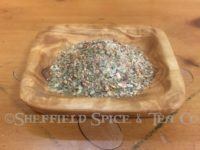 Mount Olympus contains all the traditional Greek seasonings, including a touch of lemon and crushed red pepper for a spicy kick. 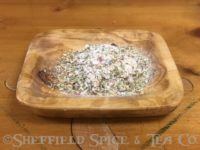 If you like a less spicy blend, try our regular Greek Seasoning. We also use it ourselves with our non-Mediterranean dishes, especially when we prepare chicken. 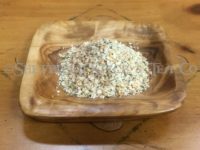 Just sprinkle or rub as you would your other seasoning blends. Refrigerate and let set for 30-60 minutes to allow the flavors to deepen. As a marinade or rub, use about 1 tablespoon per pound of meat with 1/4 cup olive oil. Add a 1/4 cup of water if marinading. Place in a resealable bag or marinade container. Refrigerate for 30-60 minutes, or longer to allow the flavors to develop and deepen. 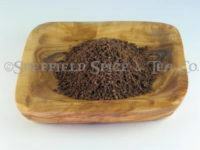 Mount Olympus blend also will add a little zip to your seafood recipes. 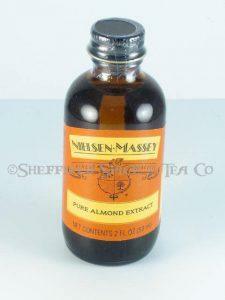 You can use it as an Oil Dipping Seasoning, on pastas, salads and vegetables and in soups and stews. Sprinkle on potatoes while roasting for a spicy, herb flavor. Add a touch to baking focaccia or in slow braised dishes. For a fine dining quality vinaigrette, combine with oil, red wine vinegar and a touch of Dijon. For your other Greek and Mediterranean seasoning needs, we also blend Mediterranean Seasoning Blend for a nice herbal touch to your dishes and Greek Isles Seasoning when you need a complete Greek seasoning blend for your Gyros or other Greek dishes. We also have a couple Italian blends. 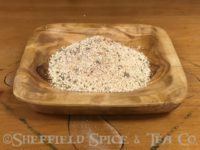 We have a traditional Italian Seasoning Blend, and our Tuscan Seasoning, which we mentioned above, which has a wonderful taste like our regular Italian, just with extra savory flavor and a bit of a spicy kick. Ingredients: Sea Salt, Garlic, Red Bell Pepper, Red Pepper Flakes, Lemon Peel, and Spices.